X-rays of the thoracic spine ─ known to all, fast and reliable non-invasive method of investigation allowing to assess the presence and nature of the pathology in the thoracic spine. Even with the advent of modern methods of study x-rays does not lose its relevance because of its simplicity and cheapness. Visible curvature of the spine from the patient to study the curves of the spine. Pain, discomfort in the chest. Fractures, cracks, and displacement of the vertebrae. Osteochondrosis (namely, such a component as arthritis). Scoliosis and its severity, determined through various methods using angle of curvature of the spine. Infectious disease (tuberculosis of the musculoskeletal system). Tumors (e.g., metastatic breast cancer, genital organs, kidneys, lungs). Osteoporosis ─ a systemic decrease in bone density, leading to a sharp increase in the risk of fractures even with minor load. Systemic diseases of the joints (e.g., ankylosing spondylitis-Bekhterev’s disease, in which there is a gradual limitation of the spine, ossification of the ligaments that reinforce the spine, culminating in the formation of ankylosis). Radiography is contraindicated in pregnant women (because x-radiation has a negative impact on the development of the fetus) and children under 15 years old (can disrupt the processes of growth and development of the child’s body). However, an x-ray is still running. Even in children, a study perhaps, but for health reasons, and also at impossibility of a satisfactory diagnosis of any other methods. During the examination after the injury or fall. To exclude inflammatory processes in the bone tissue, infectious diseases. In the diagnosis of tumors. No special preparation of the patient for the study is not necessary. Before radiography should remove jewelery chain ─ all the examined area that contains metal parts and, otherwise, will affect the picture. X-rays of the thoracic is lying on the back and the side. Diagnosis is usually carried out in two projections ─ axial and lateral. Much less the doctor for a complete picture of required images at an angle of 45°. 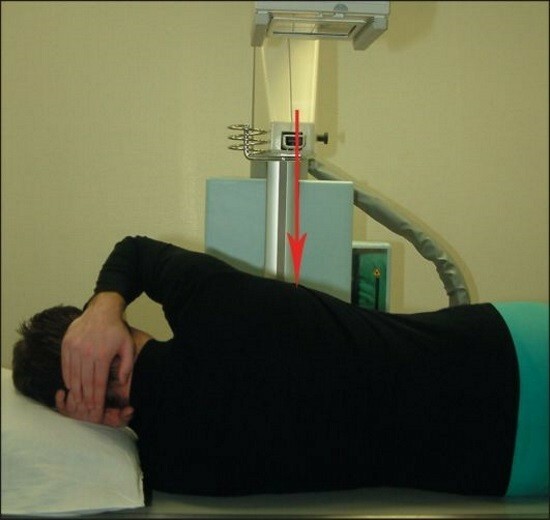 It is also possible to radiography with the use of functional tests: the patient lies on his side, he offered to carry out flexion and extension. 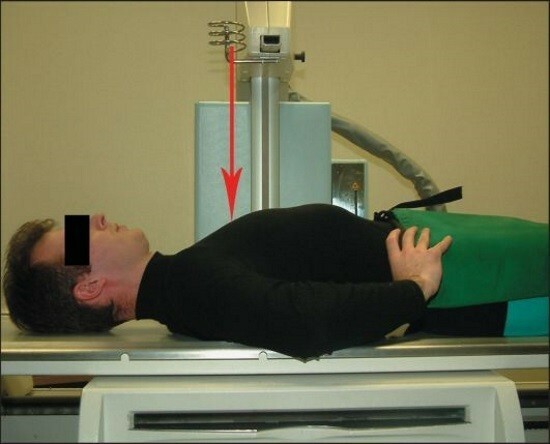 Due to the fact that the thoracic spine is not as mobile as the rest of the functional test is rarely used and, when used with the ─ chosen physician individually. The radiation dose for radiography vary depending on the apparatus and methodology of the survey. On average, the total dose of irradiation of the body during an x-ray of the thoracic spine is in the range from 1.15 mSv to 1.5 mSv, that can be associated with the natural irradiation, obtained within 6 months. To make x-rays of the spine can in the direction of the district public health clinic or by resorting to the services of a private medical center with necessary equipment. The position and condition of the vertebrae. The presence of bone growths (osteophytes) on the bodies or articular processes of the vertebrae. The distance at which the vertebral bodies are spaced from each other, the joint gap. Physiological and pathological curves of the spine. READ An MRI or x-ray: which is better? However, when x-rays are not visible cartilaginous structure (the intervertebral discs) and soft tissue (muscles, ligaments) and inhibits diagnose their pathology. Ultrasound method is based on the ability of tissues to reflect ultrasound waves. The study is available almost everywhere, but can help in only a limited number of diagnostic tasks. 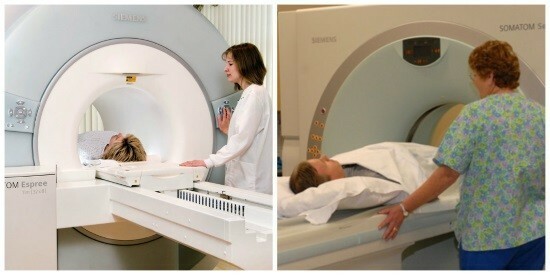 MRI diagnosis remains inaccessible method of diagnosis, due to lack of equipment of hospitals and expensive equipment. According to the physical principles of the method based on the effects of magnetic field on the protons of the human body, particularly effective is an MRI for the diagnosis of abnormalities of the soft tissues. Computed tomography-based determination of tissue density. It also applies to expensive methods. Allows you to explore the state of the musculoskeletal system. 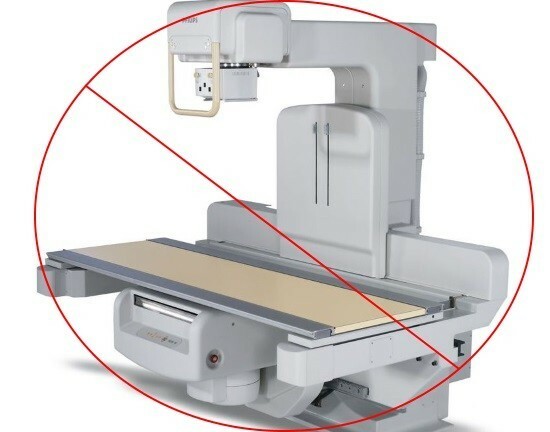 The disadvantage of CT is that it has a significant radiation burden on the body ─ is about 6 mSv. The same dose of radiation received during the examination of a lump sum, as a result of natural irradiation gain for the last 2 years. MRI of the thoracic spine: what will the procedure?